Just taking a moment to wish everyone of you a Merry Christmas, a happy holiday and hoping you are having a fantastic day, today and tomorrow! 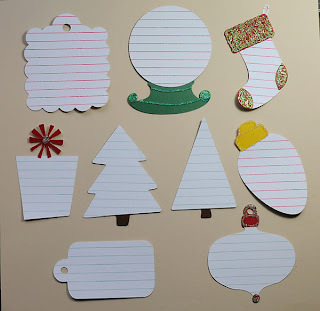 Here is a fun one for journaling all those Christmas pages! I used the gel pen holders to make the lines for the journaling boxes, then cut out the shapes! You can add any shapes you would like to the cut file! I did this one for Custom crops and you can find it here Journaling tags along with the cut files and directions! Special for the holidays! The prices of the holders are going down til Monday noon, eastern time! All orders will ship Monday so you should have them in time for Christmas (no guarantees, I was told shipping is 2-4 days in the US). Last chance to get them by Christmas! And the legal stuff... This does not apply to previous orders. Again I can't guarantee Christmas delivery, but it is looking mighty good for getting them by then. 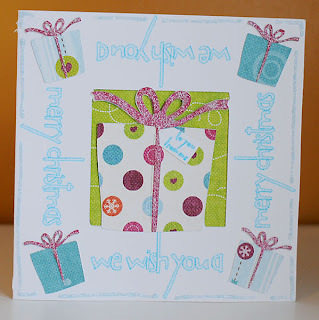 Just a fun card using the mini gel pen holder, Cricut Design Studio, and Wild Card!